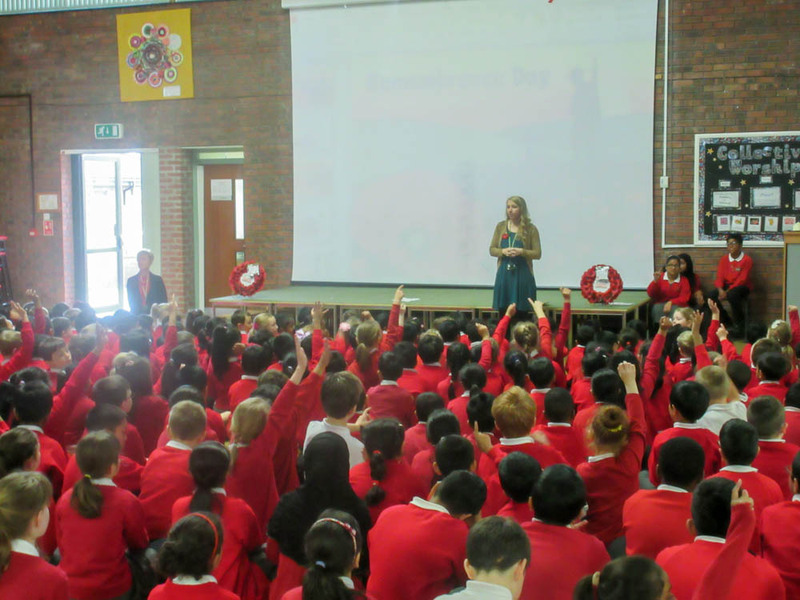 On Remembrance Day, Richard Avenue Primary held an assembly to help the children learn about what people of this country have sacrificed and what for . The staff and children raising our new custom made flag for Remembrance Day. 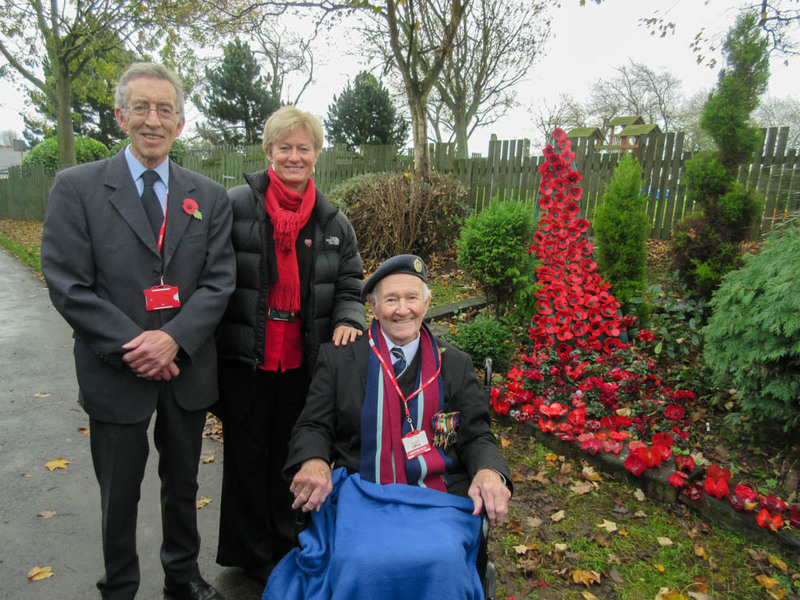 We were joined by three guests, including a local vicar, a local Councillor and a decorated war veteran. The children held an impeccable 2 minute silence and then we moved outside to both raise a specially made flag and also to view a poppy sculpture made by the children and inspired by artists Paul Cummins and Tom Piper . The Head teacher with two of our special guests. Miss McMaster’s Remembrance Day 2015 assembly. 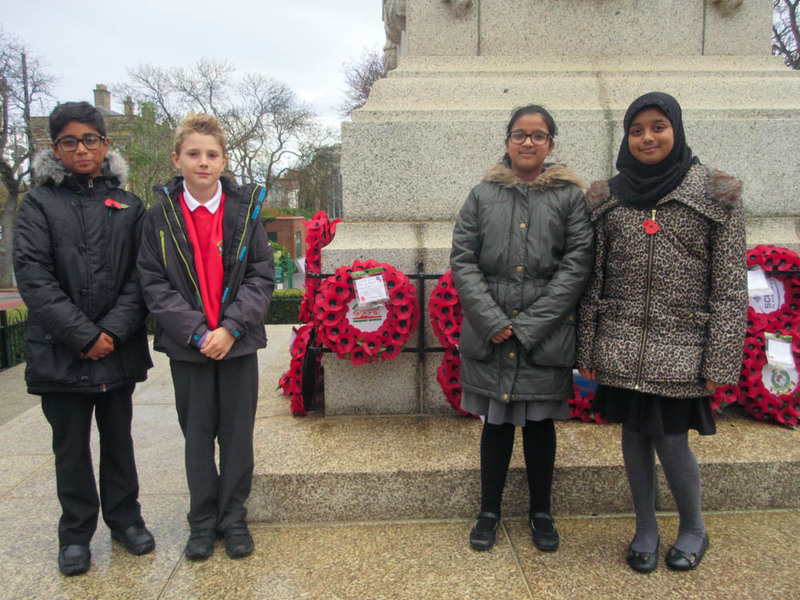 A few of the children then visited the Cenotaph in Sunderland to lay a poppy wreath. The children laying our poppy wreath at Sunderland Cenotaph.